What Rope is Best for You? By working with customers in the mining industry, the company has been able to provide products and technical assistance for some of the most difficult and complex hoist installations in the world. 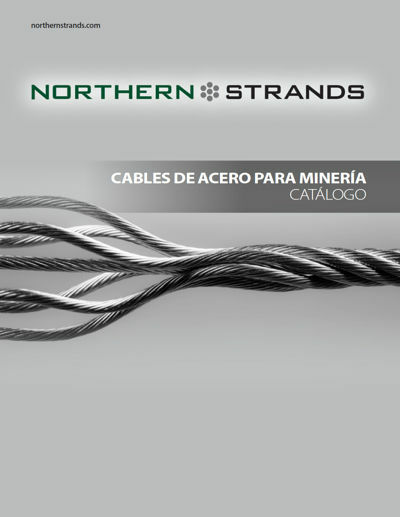 Northern Strands offer a full line of wire ropes, regardless of the hoist setup or stage of the mine development. As you can see, it is not a simple task, so Northern Strands can help assess the situation and provide a rope solution that best suits your needs. 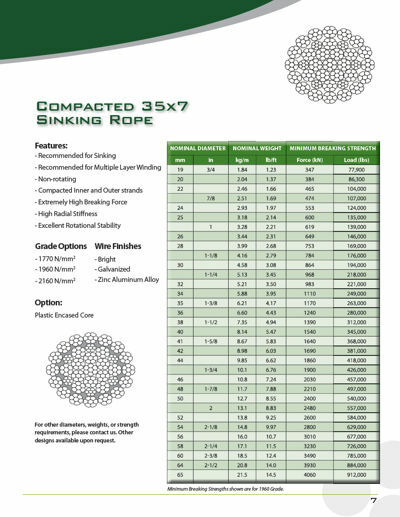 For Sinking ropes, a rotation resistant rope is required. 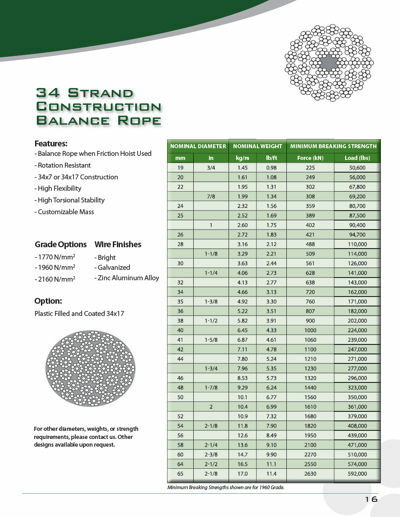 As the shaft gets deeper, the resistance to rotation becomes critical, so we can help design a rope that will perform as expected or better. 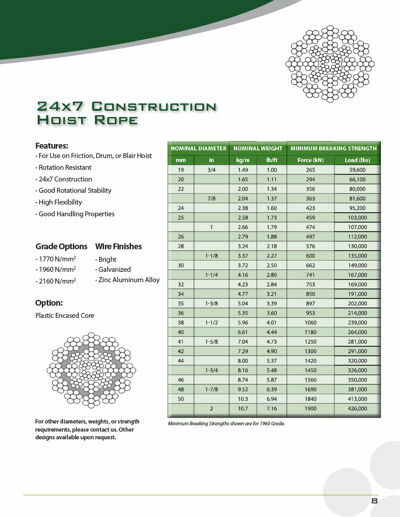 There are a variety of wire rope constructions that can be considered for your hoisting operation. Each of these offerings have their own characteristics and advantages. If you have a Friction (Koepe) hoist and you need balance (or tail) ropes, Northern Strands can supply these if different constructions as well. 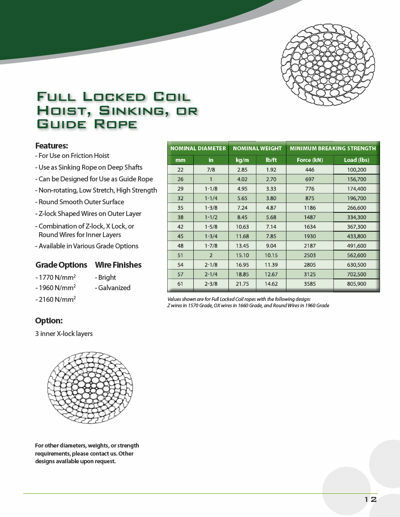 For Guide Ropes, Half Lock Coil ropes are the most commonly used product. Full Lock Coil ropes are also a consideration in some circumstances. 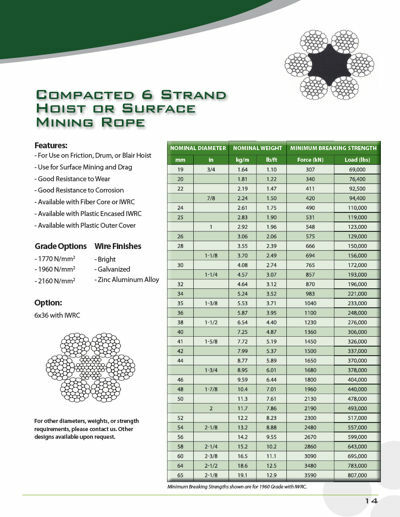 Northern Strands can help provide the best guide rope for the job depending on the rope diameter, breaking strength requirement, and the mine environment. Underground mining ropes are not our only business. 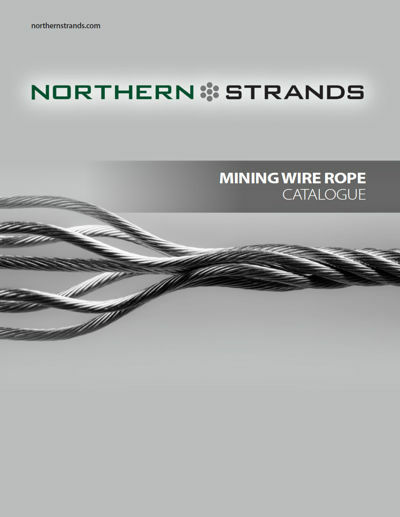 Northern Strands can also supply wires ropes for Slope Hoists and Surface Mining. Flattened Strand, 6 strand, and 8 strand are the most common varieties here. The number of wires, level of compaction, and inclusion of plastic are all part of the design process. Because of all the variables, Northern Strands truly has a wide product range.